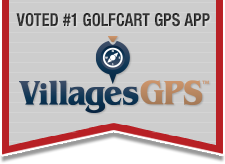 Talk of The Villages Florida / Talk of the Villages Forums / Villages GPS App / A NEW Update for Android Users is available now! Because there are many types of Android phones and we have had a few updates we won't answer questions on here. IF you have ANY issues, please email us at VillagesGPS@gmail.com and not on here.... We will get back to you as soon as possible.